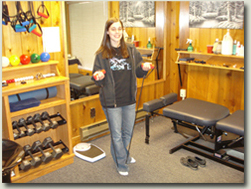 Rehab focuses on the soft tissue component of a problem. Soft tissues include the muscles, tendons, ligaments, discs, and fascia. Long-term changes occur in these tissues from repeated micro-traumas (such as poor posture, vibration, and repetitive motions), muscle imbalances, and major traumas (such as accidents and falls). Most of the changes are subtle, but the issues are cumulative. Over time, things will worsen. Addressing these issues in addition to joint dysfunction and neurologic issues is vital.